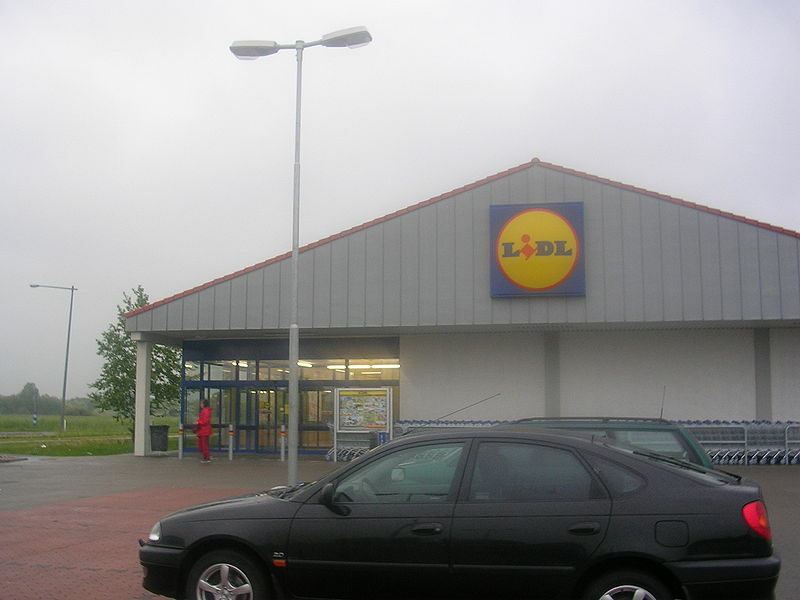 When going abroad, even driving the short distance crossing into Sweden, I always buy groceries. This as I am getting increasingly bored by the sight of Norwegian supermarkets. When visiting Sweden two weeks ago, we visited Lidl and the large Coop supermarket at Bergvik, both located in Karlstad. Here is a short account of my shopping bag. If you want some variation from your bacon and egg breakfast, substitute bacon for Nürnberger Bratwurst available at Lidl. I bought two packets of small (double portions) and one packet of large sausages, with six sausages in each package. What I did discover, when I came home, was that the use-by date was very short, in fact only a week. Buying such a big portion for one, it is best to split it up, and place a suitable portion in the freezer for later use. 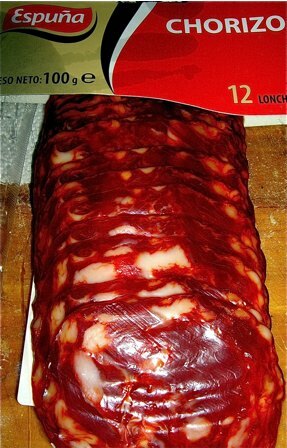 Nürnberger bratwurst is great for breakfast and on the grill. 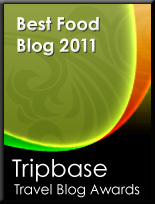 Quality of pre made soups and sauces vary, and most are not worth mentioning. 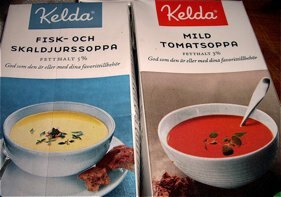 Swedish Kelda, however, make some the best sauces and soups I know. They are also low in fat, and may be enjoyed with a good consciousness. The spicy Thai soup is surprisingly pungent, and have that fresh citrus character derived from lemon grass and lime leaves. The chicken Carib soup is equally tasty. This time I did not find the chicken soup, and bought two packages of fish soup. The Thai soup is as delicious, but I was slightly disappointed by the quality of fish soup. It was a little bland, and I had to add some sweet chili, lime juice and cream to improve the product. 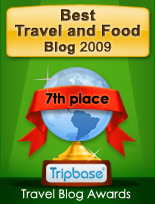 I always try to find cured ham, salamis or other products abroad. This as these quality products are subjected to heavy duty to protect the much more inferior domestic products. I do not say that there are no good producers in Norway, but products from high quality manufacturers are not widely available, and when found they'll cost you an arm and a leg. You are left with mass produced, over salted and under cured and over priced products of inferior quality. So I always try to find good salamis when crossing the Swedish border. When visiting Coop at Bergvik I found 500 grams of delicious Italian ham for just SEK 99 (10 EUR), and 150 grams of lomo embuchado, i.e. Spanish cured and salted pork tenderloin for just 40 SEK (EUR 3,50). My friend Terje always buy ultra pasteurized milk at Lidl. This is a product range not available in Norway. Perfect for those of us that do not consume industrial quantities of milk. If left unopened, it will keep for weeks, even months. By a tray - or two! Prices at the Swedish Systembolaget are much lower than in Norway. I always buy my quota of wine (3 liters/6 pints) of wine and 2 liter/4 pints of beer. Strong ales as Belgian Chimay and Leffe are sold for less than half the price you would have to pay at the Norwegian counterpart Vinmonopolet. Hardly the most ideal product, but you are allowed 50 cigars or 100 cigarillos back over the border. Price of a packet of 10 of Manne in Norway is around NOK 150, but in Sweden you pay around SEK 55, i.e. a third of the price. So there is a lot to save buying just 5 packets.